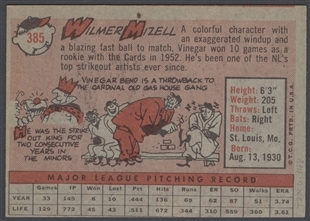 Future Representative Wilmer “Vinegar Bend” Mizell was a left-handed pitcher for the St. Louis Cardinals when this baseball card was issued in 1958. 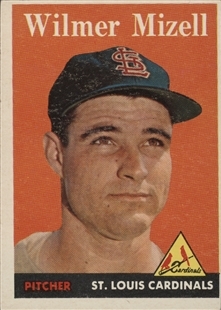 He debuted with the Cards in 1952, going 10-8 his rookie year. 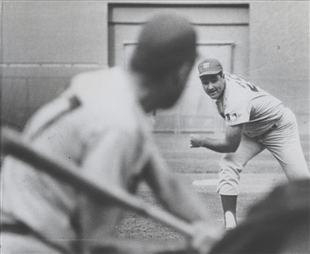 When Mizell retired in 1962, he had pitched 15 shutouts. 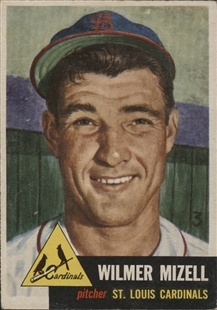 Just six years later he was elected to the House from a North Carolina district.